Are you planning your monsoon getaway soon? Then head to these beautiful sea-view cottages set atop a hill for a mesmerizing holiday. Dapoli is approximately four hours away from Mumbai and makes for an easy road trip. Just head towards Mangaon via BH 17 towards Nandavi. Once you reach Ambet, drive towards Dapoli. However, the exact directions to the homestay will be shared with you at the time of the booking. 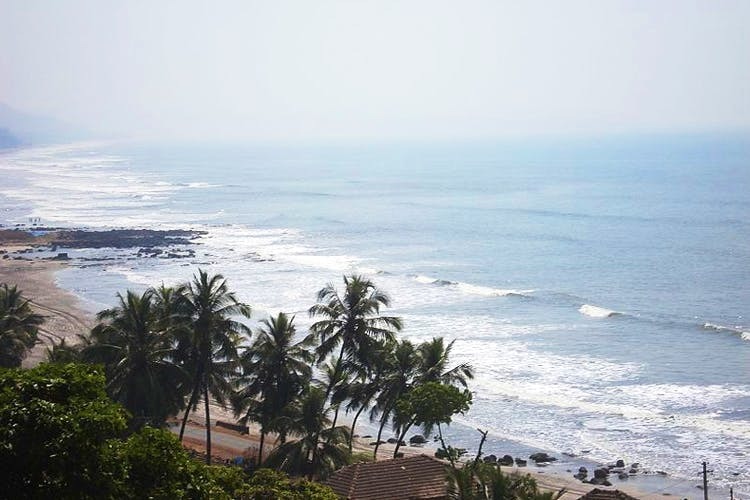 A cottage perched nicely on the hills overlooking the Arabian sea and a tidy beach, it doesn’t get better than this. The sea view cottages are homely, with an attached balcony that offers you the beautiful view that soothes our eyes. There are two cottages are up for double occupancy. For INR 8,000 per night per couple you can stay this gorgeous home stay. This also includes breakfast and dinner. What’s more? The clean and serene Palande Beach is just a few kilometres away so you can walk down with your partner. If you and your partner are looking for a romantic getaway not too far from the city, head to Dapoli and hide out at these lovely cottages. A cup of tea in one hand and blue skies and endless sea to gaze at, we’re booking it now. How about you?